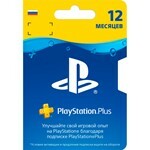 After payment you will receive a PlayStation Plus Russia code (PSN Plus RUS) for 365 days. </ attention>Subscription for Russian accounts only for 365 days </ attention>deliveryPS Plus is a paid subscription to PlayStation Network (PSN), giving users access to additional features and functions. The annual PlayStation Plus subscription is a great gift for a friend or for a loved one. 2. Login to PlayStation®Store on your console or website. "Options" at the bottom of the screen). 4. Enter the 12 digits of the promotional code and click Continue. Отличный продавец. Всем брать! Самая низкая цена на рынке!